Pretty fun project! Chuck is an avid music lover and goes to a ton of shows. 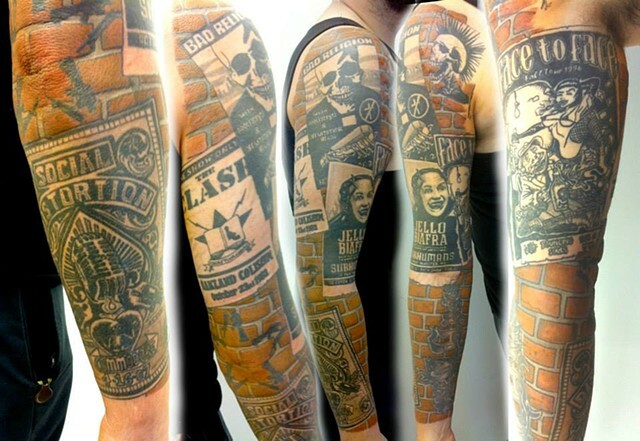 He wants to commemorate it by tattooing some of the posters from some of his favourite bands and shows. The graffiti on his forearm and the broken gun stencil tattoo was already there so I incorporated it to work with the wall background. Really fun one, thanks Chuck!